Hire a successful, cooperative, professional, experienced real estate agent and get them to do it all. 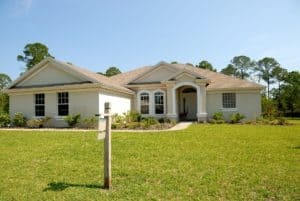 The alternative is not to sell it, and many homeowners who “go FSBO” or who hire just a “regular real estate agent” often end up not selling their home – in spite of all the time, effort, emotion, and money they put into the project. There are so many ways a home sale can go off the tracks, that many people think it is easier not to bother. Why is it so overwhelming? Let us discuss it in detail. By going into detail, you will be able to decide why selling a home is an overwhelming process, and why so many fail or plow on until, eventually, they do sell it. A lot of FSBOs eventually hire an agent, and a lot of home sellers who began by hiring an agent, hire another one. There is an old saying in real estate; “The three best things in life is to be someone’s first love, second wife, or the third Realtor.” Yes, selling a home can be very difficult and very overwhelming. What is Your Goal as a Home Seller? Let us look at the two obvious options, beginning with selling your home yourself without an agent. Selling a home is complex, emotional, time-consuming, and filled with legalities. If that were not the case, there would be far fewer real estate agents and far fewer real estate lawyers. So why do people try to sell their home on their own? The biggest reason FSBOs give is they want to save the 6% commission. And therein lies a huge problem. Most buyers who buy from a FSBO make a lowball offer because they want to save the commission too. Many buyers are experienced investors who know exactly how to negotiate on a home’s price. This means that after doing all the marketing, repairs, learning about the legal side, handling the showings, etc, there comes a time when the only game in town is an experienced investor who knows everything the homeowner has been going through, so is prepared to “take it off their hands” to save them further hassle. Selling low after everything a homeowner has done is truly overwhelming. It is at that point that many home sellers turn down the investor’s lowball offer, and begin to interview real estate agents. Why is selling FSBO such a hassle? After all, the home seller knows their home and their neighborhood better than anyone else, they can demonstrate what a great buy it is when prospective buyers show up, and once a price is agreed, they just go to a lawyer or a title company to handle everything else. Having enough time to devote to everything that selling entails. Most people have full-time jobs, so being able to do everything that a full-time agent does is almost impossible. Preparing everything to get the house on the market and doing the fix-ups. Decluttering, getting rid of old and unwanted items, redecorating where needed, making repairs where needed, and keeping the home in “show” condition takes time, effort, and discipline. A buyer can call at any time. Selling within the preferred timescale. Home sales have fallen recently and the trend looks like it will continue, so getting the right price in the right timescale will challenge the best agents even more than the FSBOs who also have a full-time job to do. Understanding and managing all the paperwork. Legalities vary state by state. Paperwork varies state by state. Legal responsibilities and liabilities vary state by state. A lawyer can explain it all, but probably at $250 an hour, and even then, the homeowner is liable, not the attorney, if the sale is FSBO. Falling out with a friend or family member who wants to buy because they had expected a great deal, not a tough negotiation. When you put all those together, there is a long list of things that take time, effort, skill, and patience. It is interesting to note that the things that did not make the top six on the list were making sure would-be buyers were genuine and not just “casing the joint” or out for a day trip and, if they were genuine, had actually been pre-approved for a mortgage so if they wanted to buy, they actually could. Problems like that also fall under “timescale” and “getting the right price.” Agreeing to sell to someone who cannot buy is not uncommon, and it takes time and emotion to handle it. That covers a lot of why FSBO sales get derailed or if they do succeed, are an unpleasant and overwhelming experience. Let’s go back to that Realtor adage – the three best things in life include being the third Realtor. That implies very strongly that many home sellers fail to sell with their first two listing agents. Let us explore that a little. You decide to hire a professional to handle the marketing, vet the prospective buyers, and manage all the post-contract work. It is best to hire an agent who wants to know enough about the property to market it effectively to the most likely group of potential buyers. You want an agent who is experienced and knows the neighborhood and why a buyer would live there. You want an agent who will be diligent, co-operative, and successful, because you want the best price, in the right timescale, and with minimum effort on your part. In your local area there will be an Association of Realtors, and they will have hundreds of members. Some will be specialists in your area, say waterfront properties, planned communities, downtown, suburban, golf course, whatever your neighborhood is. Many will not be. The majority of agents sell fewer than six homes a year, according to the National Association of Realtors. Many are new to the business, so are learning the ropes just like the average FSBO learns. Many are part-time and treat real estate as a fun way of topping up their retirement income. And some are consummate professionals who sell one or two houses a week. One part of “overwhelm” is finding and interviewing the right agent for a particular property. Which may explain why many homeowners fail to sell even though they do everything right, and have to find another agent to begin the work all over again when the current listing agreement runs out. It is also worth noting that listing agreements are legal documents and most levy a cancellation charge to discourage homeowners from wanting to cancel the listing early. Everyone knows to interview at least three agents, but many hire the first one they meet. Even with an agent, it is still up to the homeowner to do the fix-ups, declutter, keep the home “staged” etc, so it always shows well. The hard work of preparing and showing is always the homeowner’s. There is a third option. The perfect solution is to find a ready, willing and able buyer quickly, and for that buyer to say “Forget the fix-ups, forget the decluttering, forget the show home condition, and forget the showings as well. Here is a fair price in today’s market, and here is a closing date that suits you.” In that situation, the “overwhelm” and “derailing” evaporate. Please feel free to contact Sellers Advantage online or call us at 1-800-208-3243 to get a no-cost, no-obligation quote on your home. We purchase homes in AS-IS condition and can give you a cash offer in as little as 24 hours.